Make yourself at home in one of the 16 guestrooms. Bathrooms with showers are provided. Conveniences include coffee/tea makers, and cribs/infant beds can be requested. With a stay at Wavecrest Hotel in Blackpool (South Shore), you'll be within a 5-minute drive of Blackpool Pleasure Beach and Blackpool Tower. This hotel is 0.3 mi (0.5 km) from Blackpool Illuminations and 0.5 mi (0.8 km) from Sandcastle Waterpark. This comfortable hotel is located in Blackpool. Bedmond Hotel features a total of 38 accommodation units. This property does not accept pets. Located in Blackpool (South Shore), The Seagull Hotel is within a 15-minute walk of Blackpool Illuminations and Blackpool Central Pier. 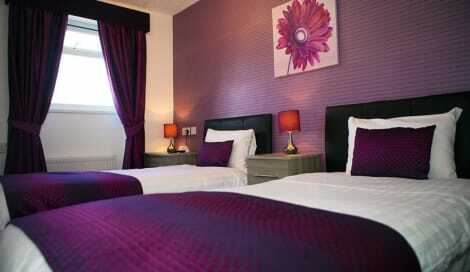 This bed & breakfast is 0.9 mi (1.5 km) from Blackpool Pleasure Beach and 1.1 mi (1.7 km) from Blackpool Tower. Located in Blackpool (South Shore), The Mardonia is within a 15-minute walk of Blackpool Illuminations and Blackpool Central Pier. This guesthouse is 0.9 mi (1.4 km) from Blackpool Pleasure Beach and 1.1 mi (1.8 km) from Blackpool Tower.